Garmin with your native language! On this page presented modified firmwares with russian (and other) languages. If you can help in translation some firmwares, you are welcome to visit Feedback page. In addition, if you need an old version of the firmware, you can visit the site http://tramsoft.ch and download it from the archive. All published firmwares have been tested for possible errors, but there is no any warranty they will be stable and error free. Please, use firmware only for your proper device model. Before using any files from this page read the manual and file Update.txt (comes with original firmware from Garmin), and the page FAQ. Are you still here and want to upload someting in your device? Some firmwares can not pass ROM TEST - FAILED. It does not matter, the device works with it, and in all future releases checksum will be correct. This firmware retains original Garmin license. The original firmware was modified to add limited support for Russian language. This includes cyrillic characters in fonts and Russian messages. Note: Support for languages other than English and Russian not guaranteed. Garmin Ltd. or its subsidiaries has no responsibility for this modifications. You may not sell this firmware. You may not charge even a dime for uploading this firmware into the device. You may not sell appropriate devices for different price depending on loading this firmware into the device. You may freely distribute and make any number of copies of this firmware provided it remains unmodified, contains all data including this text and bear the following message: "This firmware was adapted for Russia by Flawia project". You may use it in your advertising. Note: If the firmware marked as "beta" or "not for distribution" than you may not distribute it in any way and should follow the conditions supplied with that firmware. Support and newer versions not guaranteed, but you may look for that at web forum at gps.boston.ru (in Russian only). This software provided "as is", no warranties. Please use it at your own risk. Suggestions are welcome. Voice files "Alyonka" (works with que navicom translated 2.70 version). Voice files "Alyonka v.1" (works with the que, nroute original and russified versions) New! This voicepack is useable with any releases. Please choose your variant and download. Garmin Mapsource 6.7 Rus (beta). Garmin Mapsource 6.11.1 Rus (beta). Garmin Mapsource 6.11.3 Rus (beta). Garmin Mapsource 6.11.5 Rus (beta). Garmin Mapsource 6.11.6 Rus (beta). New! If you noticed an error, please report about it to e-mail. This application was adapted for Russia by flawia project. Garmin Que v 2.80 beta1 New! Garmin Que v 2.90 beta2 New! Topic is situated on gps-forum (in russian). Added search and russian name in points (thanks to quickie), russian messages. This firmware was adapted for Russia by flawia project. includes the fonts for russian maps, does not include russian texts. Do you have any questions? Please, e-mail to e-trex@yandex.ru. 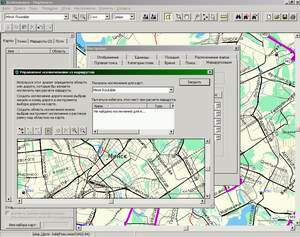 emap v. 2.90 Rus (beta1 id0111). gps V v. 2.50 Rus (beta0). It is needed to improve the translation. Author: Andrei Chestkov. Russian vector font by Lisov. gps 76 v. 2.20 Rus (beta1 id0173). gps 76 v. 2.20 Rus (beta1 id0444). It is needed to improve the translation. gpsmap 76s v. 3.70 Rus (beta0). It is needed to improve the translation.. Supports maps with russian charset. gpsmap 76 v. 3.90 Rus (beta4 id0177). gpsmap 76 v. 3.90 Rus (beta3 id0439). gps 72 v. 2.30 Rus (beta2 id0247). gps 72 v. 2.30 Rus (beta2 id0430). eTrex Venture v. 2.34 Rus (beta1). eTrex Venture v. 2.70 Rus (preRelease beta0). - packed texts supported! Gps 176c v. 4.00 (beta0). only vector font included. There is no translation, but it is possible!!!! This firmware was adapted for Russia by flawia project. Russian vector font by Lisov. Gps Map 60c(cs)/76c(cs) v. 3.50 Rus (Release).Final version. Gps Map 60c(cs)/76c(cs) v. 3.60 Rus (Release). Gps Map 60c(cs)/76c(cs) v. 3.70 Rus (beta2). Gps Map 60c(cs)/76c(cs) v. 3.80 Rus (beta3). Gps Map 60c(cs)/76c(cs) v. 4.10 Rus By UA (Release) New! Search by name is available now for MPC and cgpsmapper created maps. Added byelarussian and the ukrainian languages. Gps Map 60c(cs)/76c(cs) v. 3.80 Thai Fonts only (Release) New! Supports maps with thai charset. There is no translation on thai. Demo version. This firmware was adapted for Thailand by flawia project. Russian vector font by Lisov, Russian raster fonts by A&M. eTrex Legend v. 3.70 preRelease beta Rus ID 179, Russian vector font. eTrex Vista v. 3.60 preRelease beta Rus, Russian vector font. eTrex Vista v. 3.60 Release Rus, Russian vector font.